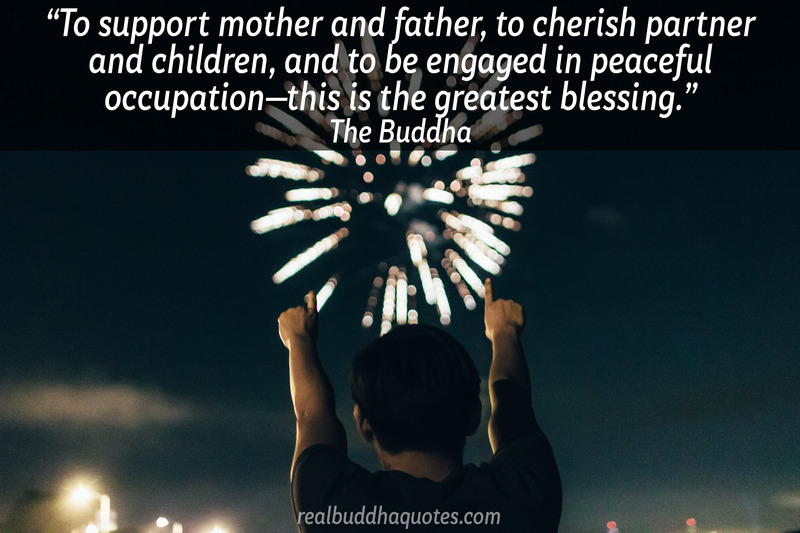 This is a genuine quote from the Buddhist scriptures. It’s from the Mangala Sutta. *In the original it’s “wife,” rather than partner. The language has been changed to make it more inclusive. Maybe we could say this is the greatest worldly blessing. It’s just a part of the full answer that Buddha gave to a question. Maybe, he found these things to be helping in attaining the true goal. It seems that the act of doing rather than receiving is the blessing. To give love requires that we give up being wrapped up in our selves. This related the the Buddhist concept of non-attachment. Of course you may be correct that it is only part of a whole answer. I am not sure what the purpose of writting these quotes as all of them can be fake. Nothing was written down what buddha said for 500 years, people can change someone’s words very quickly. Anyway buddha probably never existed.